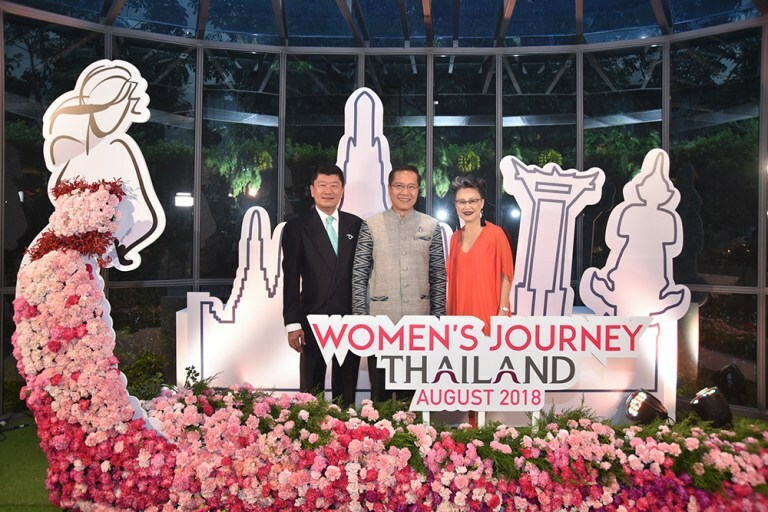 More than 60 female celebrities, bloggers, media and key opinion leaders from 12 countries and territories are participating in the 3rd Women’s Journey Thailand 2018, a unique marketing campaign launched by the Tourism Authority of Thailand (TAT) to attract more female visitors. The high-profile campaign generates billions of dollars’ worth of positive publicity for the kingdom’s myriad of products, facilities, services and attractions aimed at the female travellers, ranging from cooking classes and health and wellness treatments to sports, shopping, and weddings and honeymoons. The Women’s Journey Thailand is held annually in August, the month in which Thailand marks HM Queen Sirikit’s Birthday on 12 August. 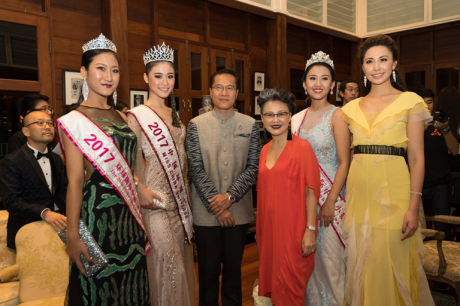 This year’s group of invited women celebrities includes former beauty queens, models, actresses, sports stars, singers and various other prominent personalities from China, Canada, France, Hong Kong, Iran, Japan, Korea, Turkey, Russia, the UAE, and the USA. They have been carefully selected by TAT overseas offices in New York, Dubai, Toronto, Osaka, Seoul, Beijing, Shanghai, Hong Kong, Rome, Moscow, and Paris. Each of the TAT offices has planned separate itineraries for their respective invitees. The welcome reception was held on 1 August at the Glass House, Nai Lert Park, presided over by H.E. Mr. Weerasak Kowsurat, Thailand’s Minister of Tourism and Sports. 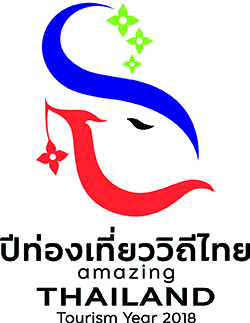 The groups later fan out on various experiential visits where they will learn about “Thainess”, try their hands at making handicrafts, umbrella painting, elephant riding, tree planting, and enjoying Thailand’s gastronomic delights. Some of the celebrities will also enjoy visits to Thailand’s national parks and ecotourism attractions. In line with the “Women’s Journey Thailand 2018” project, TAT collaborates with the tour operators to launch the “Lady Golf Challenge” campaign, especially design to attract the growing number of female players of the popular sport. The invitees will be joined by Thailand’s most famous professional female golfer, Ms. Virada Nirapathpongporn (Pro Oui). TAT Governor Mr. Yuthasak Supasorn said, “The strategy to promote Thailand as a women-friendly destination is one part of our communication concept, Amazing Thailand: Open to the New Shades. Women not only have more purchasing power but are often the primary decision-makers for destinations, length of stay and budgets. In 2016, the number of women travellers to Thailand totalled 16.9 million (+ 16.93%), accounting for 52% of total visitors (32.5 million visitors). This was the first time that the number of female visitors surpassed the number of male visitors. It also reflected that Thailand’s tourism is on the right track of promoting the country to women travellers around the world.